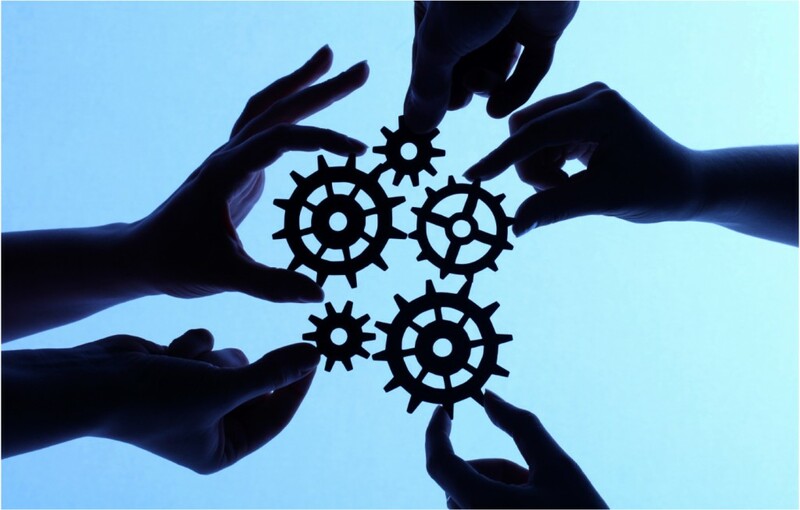 Experts estimate 80% of all new businesses fail, but 60% of all franchises succeed? Why is that? One word: Systems. You need a proven system for success in real estate. Franchises, by definition, operate based on a proven system. McDonald’s has a 200% turnover in employees, but their inability to recruit and retain employees does not affect how their burgers taste. Whether you buy a Quarter Pounder in Paris, Texas or Paris, France, it will essentially taste the pretty much same – give or take slice of gruyere. Starting a business costs money. If you start a business from scratch, you can easily invest thousands of dollars and it can take your business years until it’s finally profitable. And that’s if you’re lucky enough to be in that 20% of businesses that survive. If you prefer to buy a business that’s already turning a profit, expect to pay hundreds of thousands of dollars for the right to use that system. For instance, FranchiseDirect.com reports you can expect to shell out $1.5 million just to open a Wendys’ franchise. According to a recent Fox Business article, there are 9.1 million women-owned businesses in the U.S., up from 8.6 million in 2013. But women-owned businesses still account for less than one-third of all businesses in the U.S. This disparity is due, in no small part, to lingering beliefs (and the subsequent guilt) that a woman’s primary role is managing the house and caring for the kids. The two worlds of business and family collide as would-be entrepreneurs and mompreneurs struggle to balance the two. Real estate is a business women can enter without feeling like they have to compromise the integrity of the family unit. For me, that’s part of the magic of real estate. Unlike most businesses, the real estate business doesn’t always require a large upfront cash investment. That’s because there are multiple ways to enter the real estate business and various jobs you can perform that don’t require you to empty your pockets or work a 9 to 5. 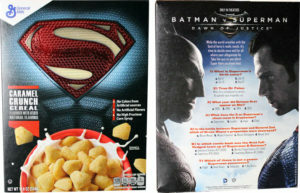 Batman vs Superman didn’t do great in the box office, but the cereal made headlines and served as another revenue source. Successful businesses know how to find the most ways to generate cash flow from its products and services. Think for a moment about the movie industry. Movie studios release movies to theatres for a few months. When ticket sales slow, the movie starts streaming on the Internet, collecting licensing fees from services like Netflix and Amazon. Depending on the type of film, they may be able to also grab license fees from cereal companies, toy companies and apparel companies who want to make products. Movies then “go to video,” whether those are physical DVDs people buy in the stores or digital libraries they build through their cable companies. After that, movies go to premium and regular cable networks and studios collect license fees from cable companies (costs that are passed on to customers in the form of monthly subscription fees), before the movies finally land on network television, where they are licensed by the networks. Movie companies do everything they can to make money off the movie before it makes its way to television. Think of real estate in the same way. When you treat real estate as a franchise business, the magic of real estate emerges. 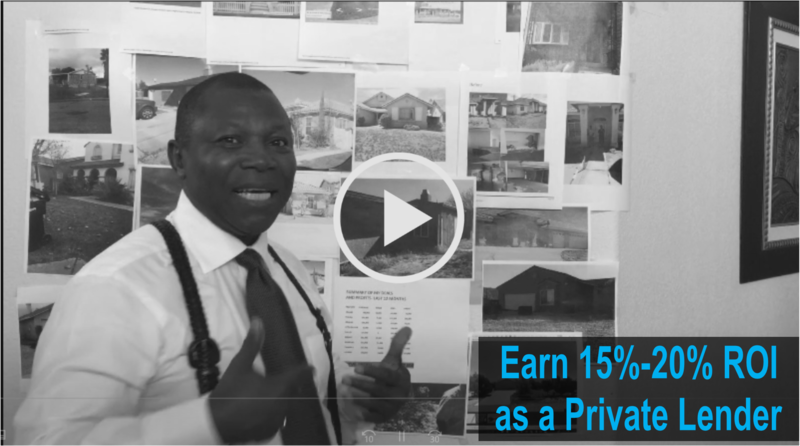 You can take advantage of all the different methods of acquiring property, flipping it and making income just like any other business. All you need is a proven system. I learned this valuable lesson over the years. I’ve bought and sold over four hundred properties. One thing I learned is the real estate business is really not that different from the insurance business. I had the same types of costs: Pay roll expenses, marketing costs, sales costs, accounting and legal expenses, office expenses and so on. I even give myself production goals, or quotas. I decide how many houses I need to buy per month and how quickly I need to sell the houses to minimize my cost and maximize cash flow. Isn’t this the same core challenge all businesses face? The difference between real estate and insurance is you can learn as you go with real estate. The insurance business requires you to be quite knowledgeable (and licensed) before you start in the business. With this in mind, my goal was to make the onboarding and startup process for GIC Deal Finders as simple as possible. I want my members to ease into the business and make money while they learn. I always say, the only people who do not like real estate are those who have no clue how to make money in real estate. Don’t be one of those people. 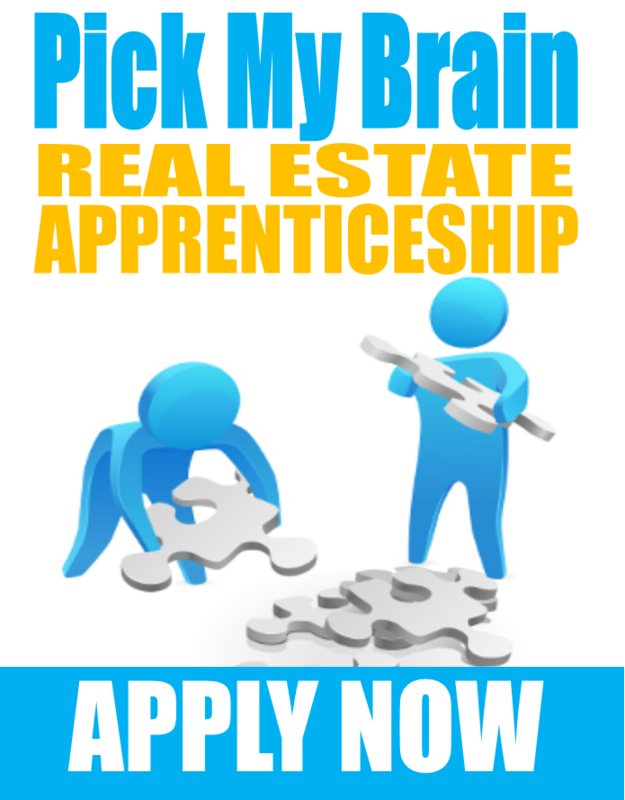 If you are ready to go on to a proven, structured real estate system, I created the 90-day Pick My Brain Real Estate Apprenticeship Program (enrolling Fall 2016). Over 3 million properties changes hands yearly in the US, each one an income stream for an individual or institution. How many of those will you lay claim to?